These Frankenweenie Sparky cake pops, created by Bakerella, are a movie monster treat. 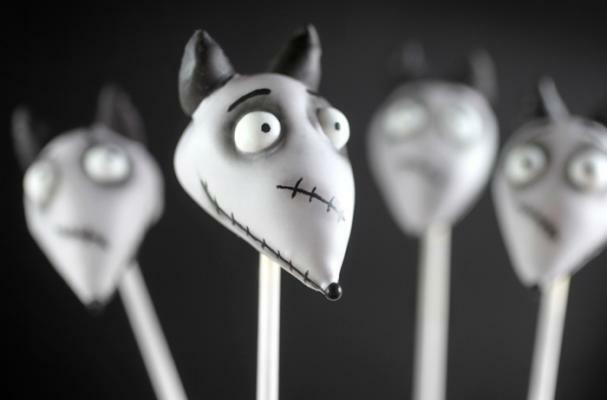 Modeled after the Tim Burton character, the gray colored cake pops capture the animation perfectly. Take a bite of the pops though and revealed is a bright green cake that adds a fun, yet haunting look to the cake pops. For another Halloween-inspired cake pop from Bakerella, check out these dangling spider cake pops.